Last Thursday when I walked out of the SHOT Show Press Room and hoofed it back to my hotel room it ended an era for me. I had now attended 25 SHOT Shows during the past 27 years and I determined it was time to move on. Oh, sure, don’t count me out that maybe in another 5 years or so I might stop back for a glimpse to see how the industry is evolving, but for the time being I’m moving on to some other opportunities in life that are not SHOT Show focused—at least on an annual basis. Indeed, next year while many of my outdoors cohorts will reassemble in Vegas to keep alive the vibrant SHOT traditions, I will be spending my time in Orlando at an entirely different trade show—the PGA Golf Merchandise Show. Oh, I’ve been to this show a couple times before, too, but it’s time to break out of my usual routine. While the guns have always been a big attraction for me at SHOT, the people I’ve met have been even more important. Yet, as I reflect back on SHOT over the years I have so many fond recollections. Memories of products I first viewed at SHOT before they hit the market and became big sellers. Memories of outdoor icons walking the aisles just like normal folks. Memories of endless aisles and exhibitor booths that would honestly take a full four days of walking in an attempt to see it all. Those are but a few of the constants to be experienced at SHOT. I remember the days of SHOT when the entire hunting community was under one, single roof. This was before the archery community found it necessary to fracture off and create their own, independent trade show now known as the ATA Show. I don’t blame them. 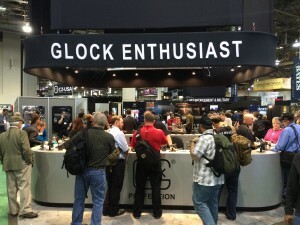 As I recall their booths were rather scattered around on the SHOT Show floor. If you came with the sole interest in archery you had to walk by a lot of guns and accessories to get from archery booth to the next archery booth. I believe it was at this time SHOT recognized how grouping like items such as guns, clothing, outdoor products, etc. was a worthwhile undertaking for the floor layout. 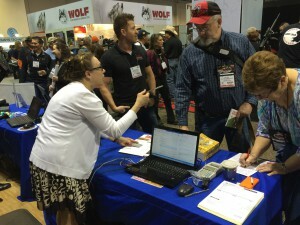 Lots of firearms industry business occurs at SHOT during its annual four day run. So, yes, unless you are a bit long in the tooth you may not remember SHOT for also being heavily archery. Yet, it most certainly was back in its day 15+ years ago. I remember a day when the so-called black guns and related products were banned from the show. Not sure if this was an official SHOT stance or not, but the word was made pretty clear how these were not a welcome sight. I believe what essentially happened was after the archery factions departure from SHOT it created a vacuum for a new category of goods which has now fully evolved into the Law Enforcement Section. 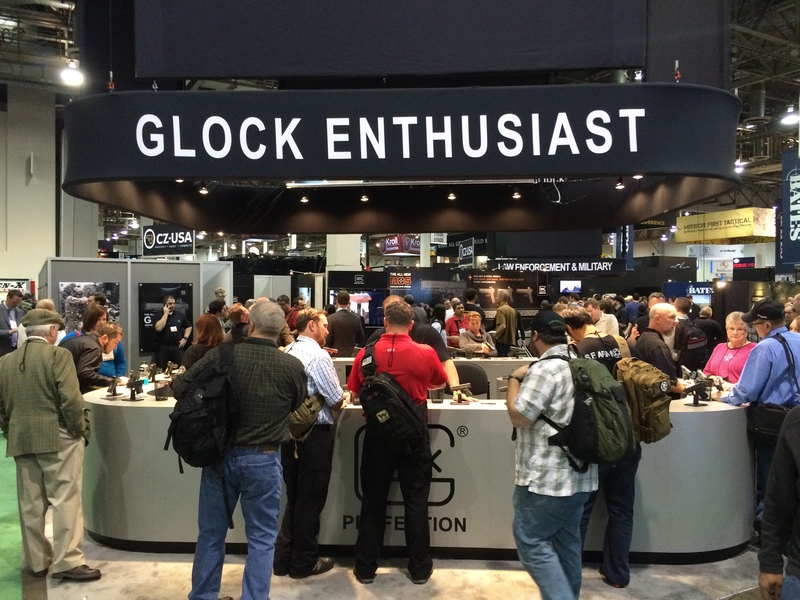 Try to imagine a SHOT Show today with no Modern Sporting Rifles on display. Indeed, 20+ years ago they did not enjoy the same widespread acceptance within the hunting community as they do today. People’s attitudes change. Obviously, SHOT has grown much more tolerant of changing buyer attitudes, as well. Yes, I even remember a year when the folks at SHOT decided to wet their line, so to speak, in the fishing market. Imagine that. Buyers could drool for days over guns, but then before traveling home they could also purchase their sporting store’s fishing essentials. The fishing show didn’t succeed. I believe it was only attempted one year, but kudos to the NSSF for trying new things. Even though SHOT is about business, it’s the fun times AFTER HOURS where friendships are celebrated and cherished often lasting a lifetime. Another big change I have noticed is how product manufacturers interact with outdoors writers. There was a time when you could walk down the aisles of the show with media credentials and the booth staff would try to lure you in for a product pitch and perhaps a sample or two. Wow…has that changed. Case in point. This year I walked up to the Havalon Knife booth asking if they had any product samples for sale. My intent was to purchase one of their new innovative knives with a replaceable blade for a potential product review and to establish a contact person direct with the company. Instead, the booth attendant looked at my media badge and sternly informed me how they are here [at SHOT] only to sell to “stocking dealers.” Really? Not only did they lose a potential customer, but they lost out on an opportunity for me to write anything positive about their company. Over time these sort of changes are inevitable. During the course of 25 years you see lots of good and occasionally some bad. It happens. Part of the growing process. And over this time SHOT has never stopped growing. Oh, sure, some of SHOT’s new rules don’t particularly thrill me when they change the way I have enjoyed SHOT for so many years, but I understand why they are necessary. Nothing stays the same even as much as you would like it to. 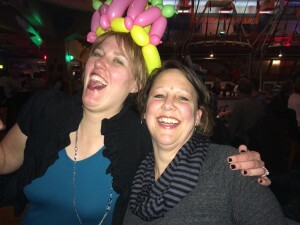 More than anything SHOT has been a wonderful reason to make personal connections. New friends, old friends…you can never be quite sure how attending SHOT will ultimately enhance your life until you experience it. While many folks may focus on the new and innovative products to be seen, for me the networking and the people who attend SHOT has always been of great importance. For sure, over the past 25 years I might forget some new product I first experienced back in 1998, but I won’t forget the character I briefly met on the elevator heading towards SHOT who taught me one of the most fundamental marketing principles I still use to this day. You just have to be there to experience it. I will miss those people next year. Thus, I will also miss SHOT…but it’s time to move on.